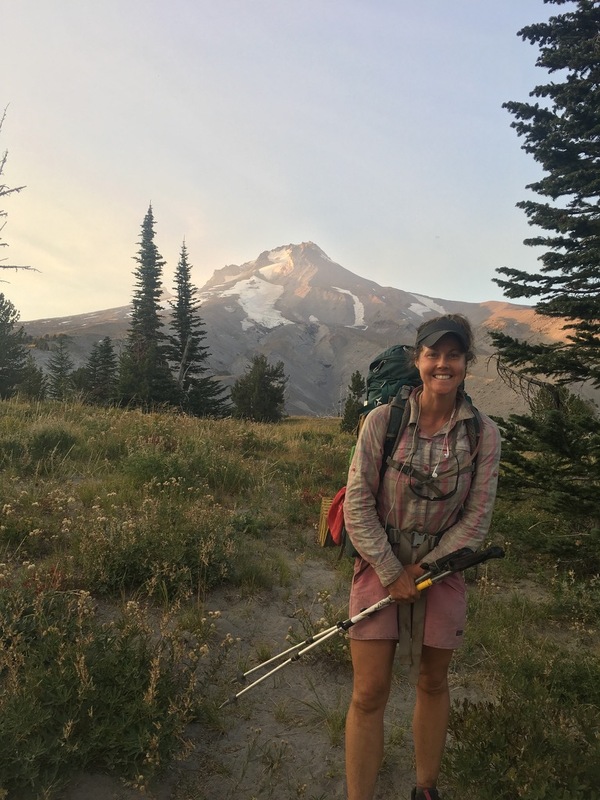 The Pacific Crest Trail’s half-century birthday on Oct. 2 has me thinking about how much the trail means to me, someone born 14 years after it was established. I thru-hiked the trail and fell in love with it, but I also a discovered a new purpose on my journey. Laura Johnston beating the heat in Southern California. I read the words while staying a motel outside Manning Park, Canada, where a few of those hikers and I settled hours after finishing the trail. The comment put the past, trail life and the future into perspective. There were many “nexts” — I hadn’t yet figured out job, place to live, etc. — but that comment helped me decide to continue advocating for stewardship of the trail. I called my boyfriend and mom to thank them for supporting me throughout the four-and-a-half-month journey. I sat on the bed looking through my photos, videos and journals from the adventure. The images and the words reminded of the big moments and feelings the trail left with me. I was one of the PCTA’s 10 inaugural P3 hikers. 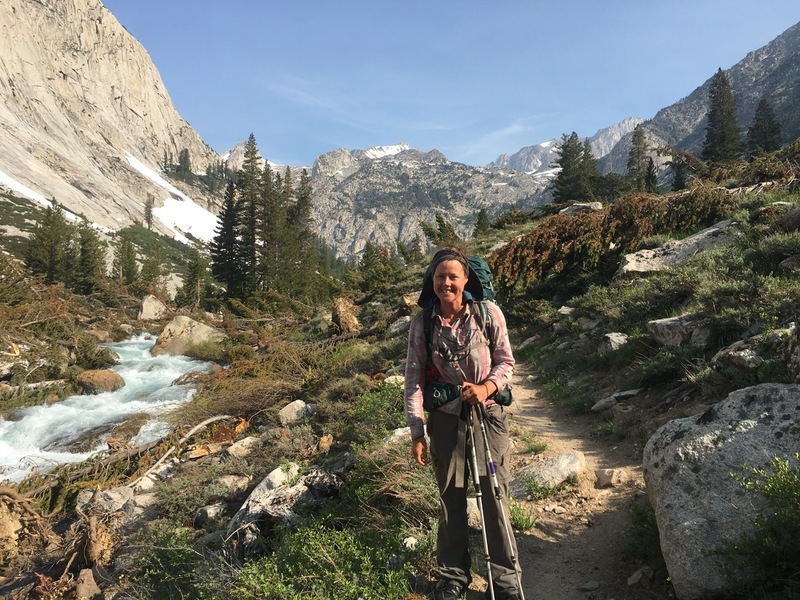 The initiative focuses on stewardship, engaging passionate hikers to use their voices and talents to advance the ideas of preserving, protecting and promoting the trail. In 2016, I left a job at an international conservation organization in Washington, D.C., to thru-hike the Appalachian Trail. On the AT I saw myself and others change and deepen our connections to the natural world. On the PCT, P3 allowed me to be an active observer, listener and learner about the forests, trail vulnerabilities, land managers, trail design, maintenance and town perspectives. I was a hiker but also an anthropologist, advocate, photographer, conservationist, naturalist and journalist. Being a P3 hiker encouraged me to travel with my eyes, ears and mind open. And I was encouraged to share those conversations, stories and sights with the public rather than keeping them to myself. 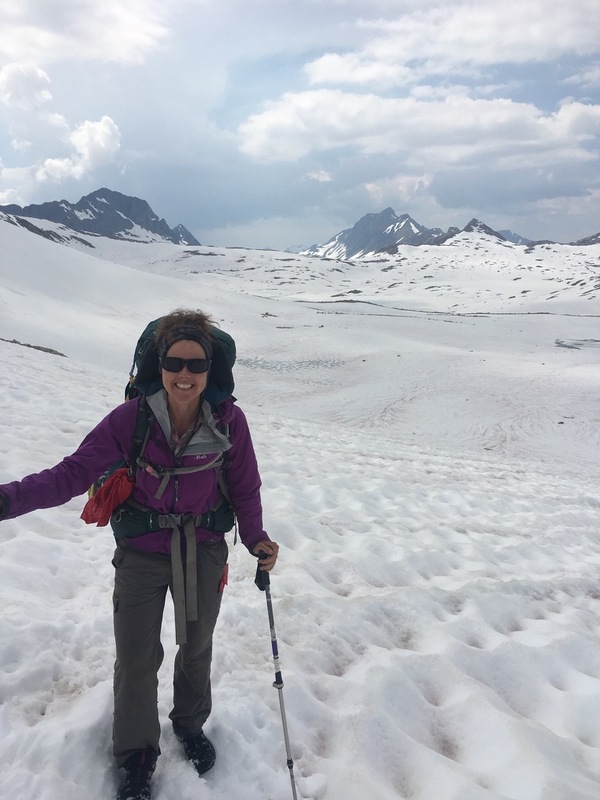 I posted photos and stories on social media of the sites and sounds on the trail; interviewed hikers for the Sounds of the Trail podcast about the impact of the PCT on them; wrote stories for the PCTA blog; and set a good example as a trail steward. On one occasion, I interviewed a thru-hiker who studied forestry in college and worked off trail as a wildland firefighter. He talked about the trees, community and walking. But, when I asked him if he would stay involved with the PCT after he finished his hike, he paused and said, “Probably not. Why would I? What would I do?” This surprised me, challenged me and reminded me that walking a trail doesn’t mean everyone has the time, inclination or awareness to give back. I interviewed photographer and filmmaker Andrew “Reptar” Forestell, who previously thru-hiked the AT. On the PCT, he volunteered for Granite Gear’s Groundskeeper program, picking up trash throughout his hike, including a 16-pound bowling ball. When we talked, his passion mirrored my own and grew with each mile. He said people could join the PCTA or donate to the organization, volunteer to do trail work, pick-up trash, write about their experiences or share their photographs. He was overflowing with ideas that he said had been introduced to him but also became more important with each piece of trash collected. Of all the lessons I learned through my P3 experience, it is similar to that of Reptar. Stewardship is paramount to keeping the trail wonderful but there is a place and a form for any act of stewardship. It can be practical, physical, inspirational, tangible, monetary, artistic or managerial. It can be a representation and reflection of one’s own abilities, interests and time. 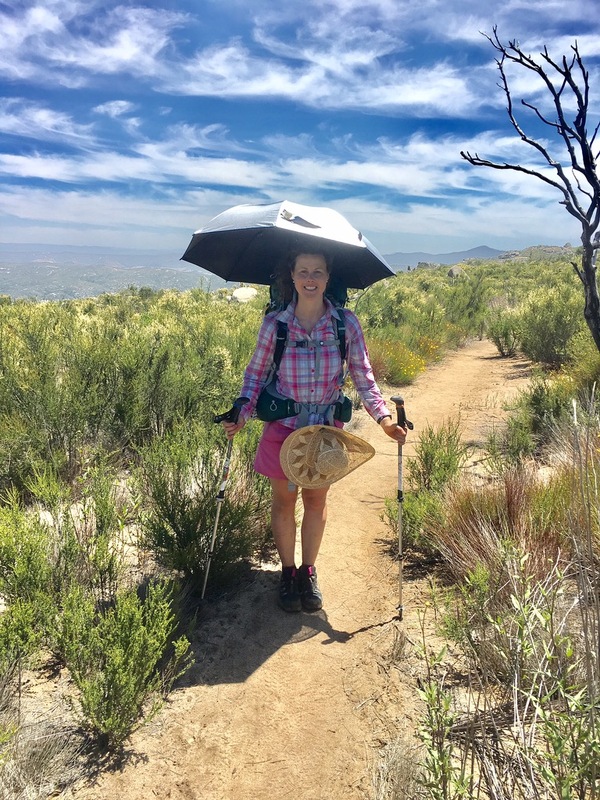 When we become stewards of the PCT or any trail, we are no longer are just walking. We are a part of it. My four-and-a-half-month walk was a long moment of adventure, reflection, challenge and growth that I think about at least a dozen times a day and know I will draw on for the rest of my life. The space for contemplation was always available and often unavoidable. The uninterrupted hours in my own head encouraged me to look inward like never before. The PCT allowed me to step back from life while also living in a grand way. I thought about my past, my present and my future in an uninterrupted and contemplative environment. And I was amongst many in the same state of mind. But it wasn’t all deep thoughts. I learned more about the many ways to design a life from the people I met on and off trail. I was reminded to be a kid every day and to find happiness in weeks of 110+ degree heat, intrigue in routine and pleasure in dirty food. I was physically and mentally challenged. I had to walk myself to food, water and shelter every day; and I had to make sure people that loved me knew where I was. The trail was predictable, surprising, grand, simple, humbling, calming, intimidating, sobering, routine, social and even lonely. And the uncertainties were many–the weather the terrain, the wildlife, the water sources, the day’s end at camp or who you might meet or see. Life as a PCT thru-hiker was even monastic. My routine was just that and primal (wake, break down camp, eat, hydrate, walk, eat, hydrate, walk, set up camp, eat, hydrate, place bear can or hang food, sleep…repeat). In a world with so many choices, there are few on trail — move forward or not; stay in town or hike out; siesta or walk; be happy or not; camp here or further down the trail; swim in the lake or not; ford the river at the trail, up or downstream; eat now or later; get water here or — well you probably should get it here. I learned to explore and to plan ahead while also staying spontaneous and adaptable. Walking and sleeping in a new spot each day was an adventure and an effort in determination and persistence. The physicality humbled and surprised my body and my mind. The trail taught me my resilience, potential, and limits. The threats to the trail including forest fires, water scarcity, climate change, reduced federal protections for public lands such as national monuments and human impacts were no longer stories in the news. They were happening in my backyard. Yet there also existed positive forces — human kindness and innovation, renewable energy and perpetual sun in southern California and people protecting the trail. The support of my boyfriend and family taught me that no major undertaking happens alone. They reminded me to be grateful and to tell them so, because not everyone is so lucky. 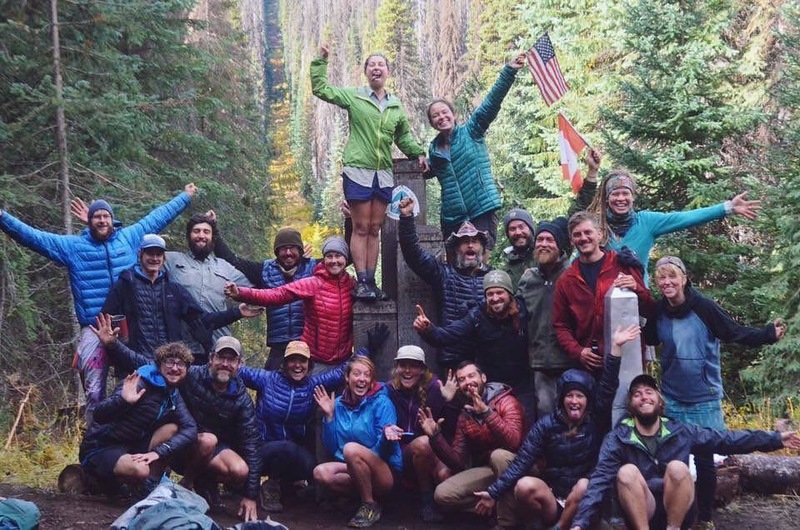 The PCT teaches real life lessons of setting goals and then reaching or falling short of them — to keep putting one foot in front of the other no matter how small the progress seems. The PCT is more than simply a line in the dirt. It is a grand American idea, that became a thing and became a part of how I think and who I am. It was and is built by hand by passionate advocates. Sometimes walking the PCT, it is easy to lose sight of that because the trail is so neatly designed, so meticulously manicured. The PCT changed my life. With so many memories, I am left with the urge to be part of its promotion, preservation and protection and conserving wild places and public lands. After the trail, I found myself back on my native east coast, far from the PCT. I thought about that picture taken at the terminus and the comment urging me to get involved. I wanted to do this. And I was reminded of the old adage, “To much is given, much is expected.” Organically I could continue my P3 stewardship — not in a rearranging my life, moving onto the trail, or donating big sums of money sort of way. Instead I decided to do a lot of what Reptar suggested. I continued my P3 responsibilities over the last year by speaking for the trail and telling others about promoting, protecting and preserving the PCT and other trails and public lands in general. It is fun, patriotic and almost obligatory. And it gave me a new purpose after the single-track focus of hiking the PCT. Celebrating at the Northern Terminus Monument. I dove into memories, researched the history and current management of the PCT and the National Trails System. I wrote. I talked. I blogged for gear companies. I became a trail maintainer on the east coast for the AT. I volunteered at advocacy events like Hike the Hill in Washington D.C. with trail groups and policymakers. I appeared on a couple outdoor podcasts to talk about the trail and P3. I brought kids to the outdoors, talked to conservation groups and submitted stories about my trail lessons. I mentored a couple aspiring PCT thru-hikers preparing for the trail. I volunteered my time at hiking talks at local REIs. I even suggested that other groups replicate the model of P3. Giving back became the thing I focused on. For one spring, summer and early fall, I lived out of a backpack and saw the American West on foot. My story is like a million others who take long hikes. It feels like a lifetime of experiences, friendships, accomplishments and challenges captured in a few intense months. It has been one of the grand adventures of my young life. By the end of my hike, I had a list of 110 people to thank. I took 3,644 pictures and videos, wrote 115 journal entries, one for each night on the trail, posted 124 stories on Instagram, interviewed 26 people for the Sounds of the Trail podcast. When I look back, it’s not the elevation gained or the miles hiked that matter most. Of course, there were moments when it seemed like they did; but, it’s so much more. It’s keeping the PCT a part of me and staying a part of it. This year’s 50th anniversary of the PCT, the AT and the National Trails System is a reminder for all of us that these places exemplify a value we hold in the U.S. The PCT has changed my life and countless other people’s lives for the better. I fell madly in love with the PCT. It gave me a once-in-a-lifetime experience and a new purpose — to be a part of something bigger than myself. You can read more from Laura on her website.